We had originally planned to climb Crag peak out of Blackrock. 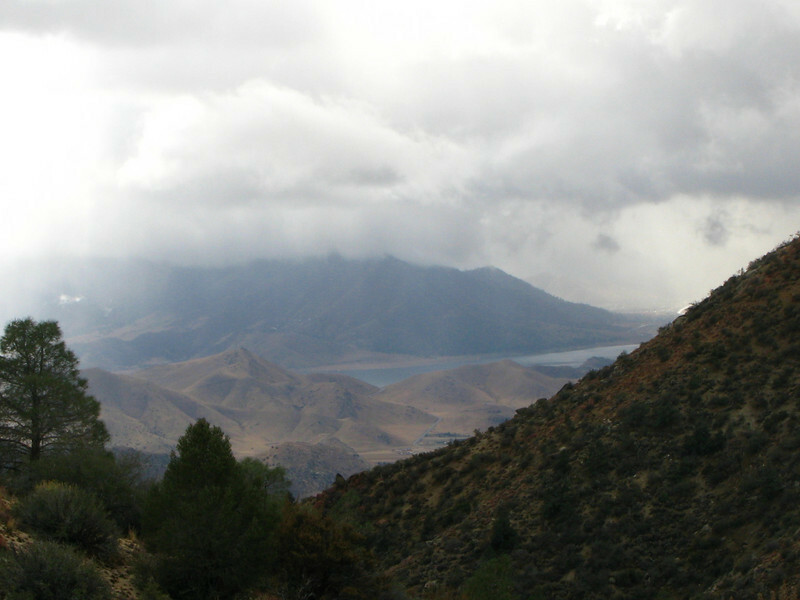 The snow and ice kept Alice from driving over Sherman Pass so they stayed in Kernville. After and hour or so - I figured out they were not coming and drove out - found updated message and drove to Kernville. Alice and Lisa had started up the Cannell Trail - so I hiked up to meet them part way and we all hiked down together.